In the granite cliffs of the south coast of Guernsey is a particularly beautiful spot called Icârt Point. I proposed to Lorraine my wife there two years ago, and I have known and loved the place all my life. I have written poems about it, with two even having been set to music. When it comes my time to join the majority I quite fancy having my ashes smuggled to Icârt and tossed to the wind. The friendly owner of the cafe at Icârt once told me he had mercury poisoning. “Success,” he said another time, while sliding a ham sandwich at me across the counter, “is knitting your own Ferrari”. A koan I have puzzled over. Meanwhile the cafe garden had grown increasingly mazy and is full of roses and towering alien-looking echiums. Add into the scene the little tables and trays of cups and saucers, sandwiches and cakes, then it hard not to start looking about for a sleeping dormouse or a tardy white rabbit. of death, her red dress billows out. or, lazy, simply bob along. its ruby notes in dying light. completed in a breathless faint. of saffron robes, perhaps of death. Richard also has a highly enjoyable blog called Bard at Bay. Now I am getting back into the poetry world I realise that for better or worse that poets are my tribe. 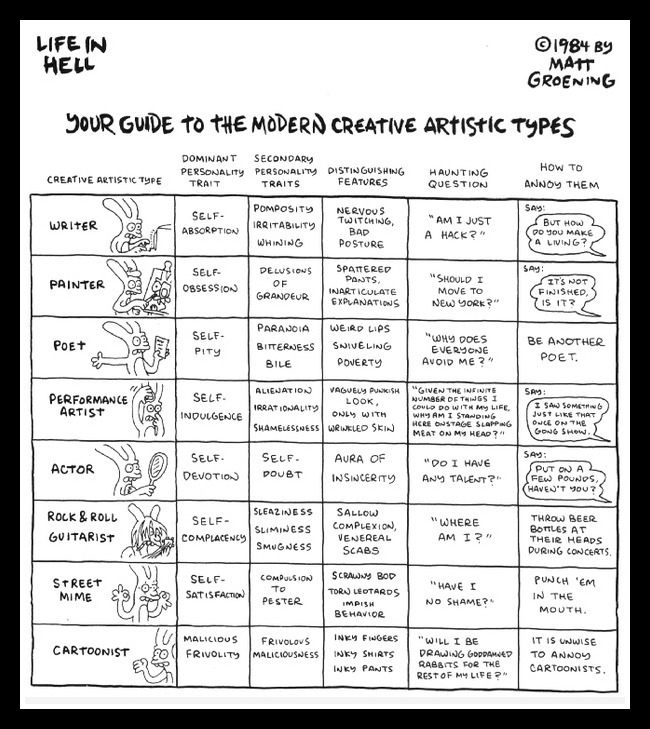 Back in 1984 Matt Groening (originator of The Simpsons) did a cartoon of “Your Guide to the Modern Creative Artistic Types”. His entry for poet suggests that the way to annoy them is to “Be Another Poet”. Not true of course, although this thought has come to me when I have met poets burdened by being a genius, the kind of burden that I as a mere poetic foot soldier could never understand. Fortunately such people are few and far between. 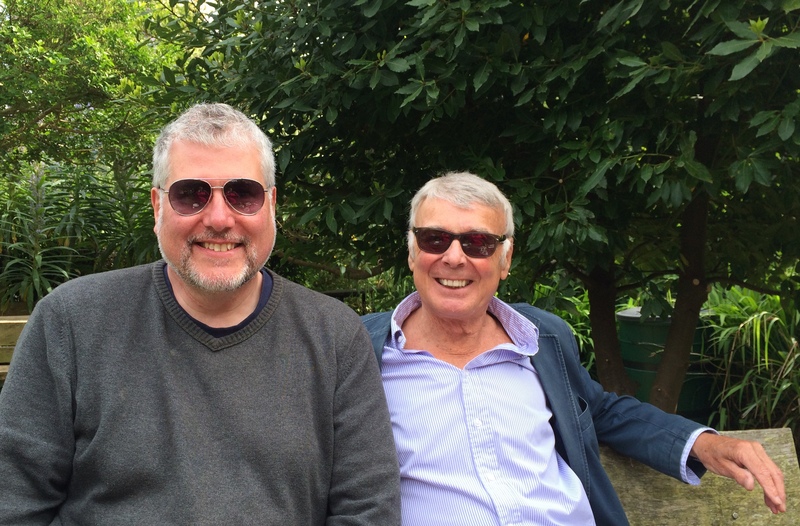 The poets who are my friends and who do not annoy me just by being another poet, such as Richard, are generous hearted people who happen to love reading and writing poetry. And as the eccentric cafe owner might say, long may Richard continue to knit his poetic Ferraris. This entry was posted in A Guernsey Double, Guernsey, Poetry, Richard Fleming and tagged A Guernsey Double, Grande Rocques, Guernsey, Icart Point, Matt Groening, Richard Fleming. Bookmark the permalink.